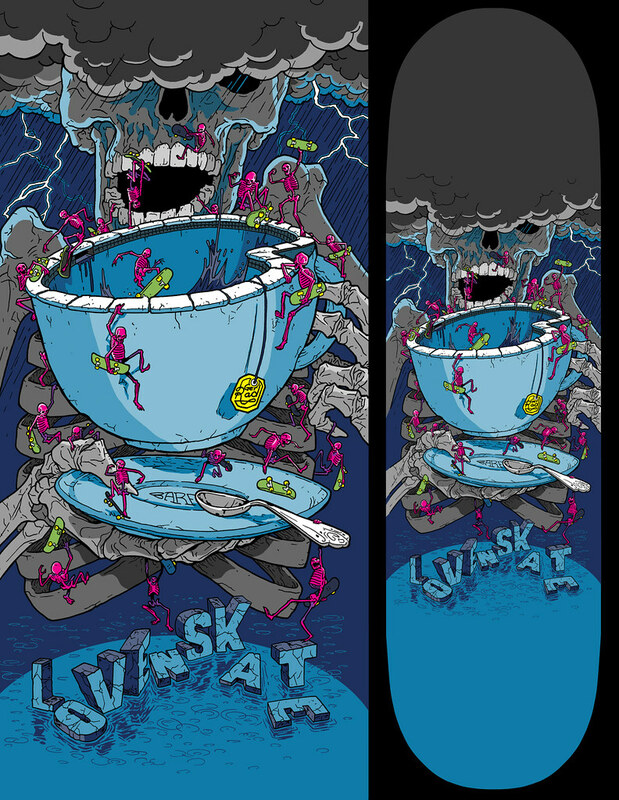 I'm really stoked about the release of this deck that I drew for London based Lovenskate. They screen print all of their decks themselves, and this particular deck is 12 colors! I really like the vibe they've got going on there, and they are always up to something fun and interesting. So check out their site and support them through their shop! 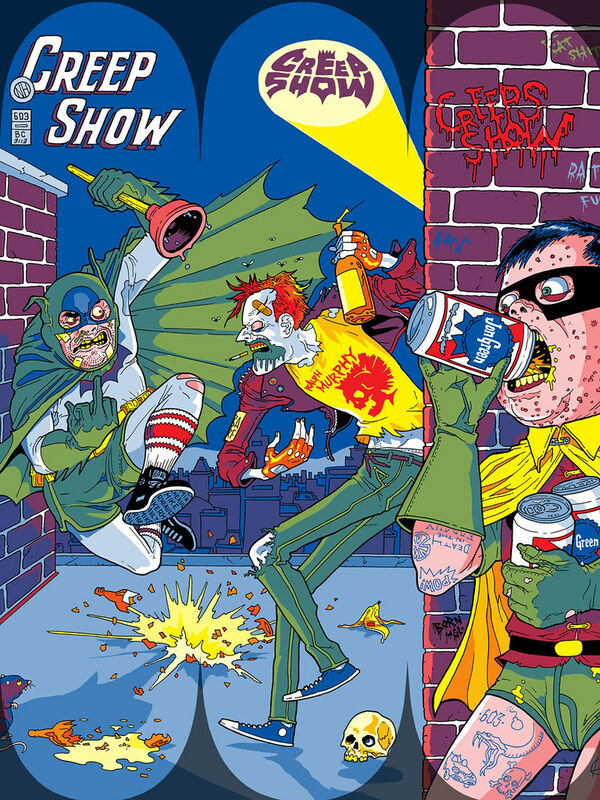 I recently teamed up with NH based Creep Show Skateboards to put together this series of boards. I just got my hands on a few and I can't wait to set one up. Support independent skate companies!